Hungary and Transylvania and Romania. There is always someone who knows a lot about the people or the places that they have family in. There are also people who do not know as much about their family as can be expected. 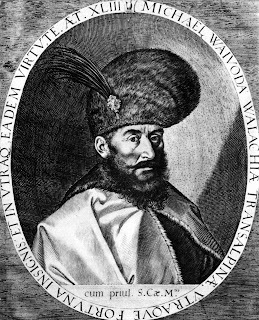 The interesting thing about the land of Transylvania, is the fact that while there was not many civil wars, there was also not much "cultural knowledge exchanges." Hungary, rather the Kingdom of Hungary, ruled over Transylvania for a long time, with some short break between. Micheal the Brave being the main example of this. He was an interesting man who united the Principalities of what would become modern Romania in 1599. After he was killed in 1600 this did not happen again for several hundred years. 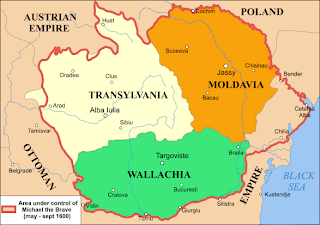 The princes of Transylvania after this had more direct links to Hungary than to Wallachia, but again, there are still many cultural links to Germany, Hungary and Romania within Transylvania. The question of course can be asked which would be something like this: where does Transylvania belong? should it be a part of one country or another? The question which most people might not think of asking is should Transylvania be a country of its own? After all it is large enough to be a country. It has many cultural places and natural resources to provide for its population. Yet, it is still within the borders of Romania. The case for this might be due to the comfort of most of the large population of Romanians who have lived for centuries in Transylvania. interesting info, I enjoyed teh read.